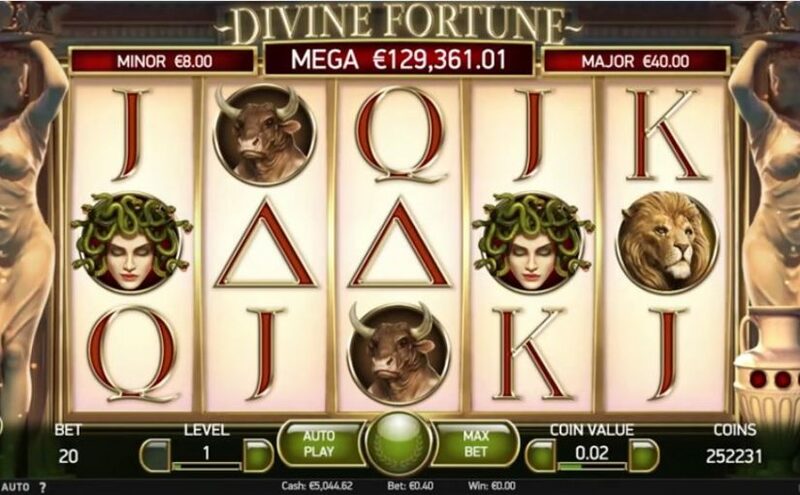 Divine Fortune Online Slot is a 5-reel, 3-row, 20-line slot game powered by NetEnt. that goes back in time to classical ancient Greece and a world of mythical creatures, golden coins, legendary riches and jackpots galore. Divine Fortune features Wild substitutions, Falling Wilds Re-Spins, a Wild on Wild feature, Free Spins and a Jackpot Bonus game with 3 different jackpots including the progressive Mega Jackpot!